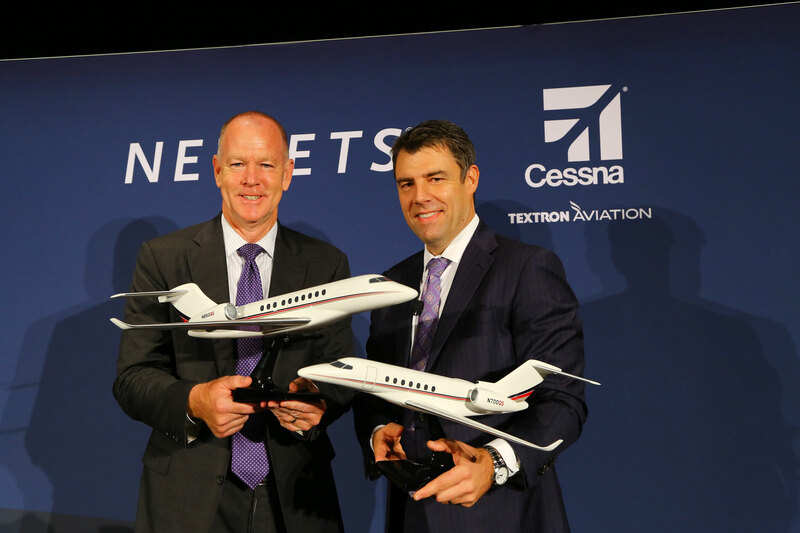 Textron chairman and CEO Scott Donnelly, l, and NetJets chairman and CEO Adam Johnson pose with models of the Cessna Citation Hemisphere and Longitude. Textron Aviation and NetJets signed an agreement on Monday at NBAA-BACE 2018 for an option for the fractional-share provider to purchase up 175 Citation Longitudes and 150 Citation Hemispheres. The agreement also makes NetJets the launch customer for the large-cabin, fly-by-wire Hemisphere.